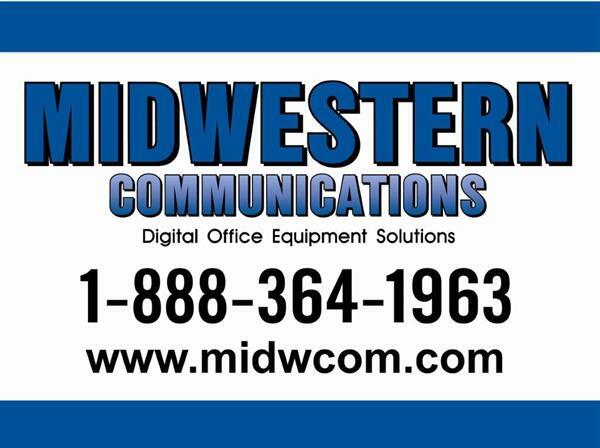 Since 1988, Midwestern Communications has been providing Midwestern Ontario with exceptional Sales & Service of Digital Office Equipment. Our focus is you and the needs of your office. We value your time and business dollars and we can usually save you both. We invite you, to invite us into your office for a personal onsite analysis to ensure your printing, copying, scanning and faxing needs are being met as efficiently as possible. We?ll discuss what is important to you! Let us manage your printing needs with a personable worry free environment. We are large enough to exceed your expectations but small enough to always know you. Take a moment to visit our online listing of Monthly Specials and Used Equipment and contact us for more information.